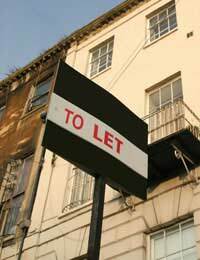 Being a landlord is never easy and there is often a lot more work involved than people realise. If you are a landlord or are thinking about becoming one, you need to make sure that you know your rights as a landlord. Whilst the emphasis is usually on tenant rights, landlord rights are just as important for making sure the relationship between tenant and landlord is a good one. If you don’t exercise your rights as a landlord you could find yourself being taken advantage of by tenants, and possibly not fulfilling your role as landlord. Your rights are just as important as those of the tenant, and it is important to use those rights to make the tenancy a successful one. Landlord access is one of the most important rights you have as a landlord. You or the agent representing you have the legal right to enter your property at reasonable times of the day to carry out repairs or to inspect the property. You need to give 24 hours’ notice in writing in order to inspect the property, and it is also useful to make sure you have arrangements about access for getting repairs done set out in the tenancy agreement. Although tenants have the right to be left in peace, it is your right and duty as a landlord to keep the property in good condition and make any necessary repairs. It is also in your interests to inspect the property every few months to make sure everything is still in good condition. Although tenants might not always find this convenient, if you give them the correct notice there should be no complaints. If the tenant will not give you access then you should seek legal advice immediately. You cannot gain possession of your property from a tenant during a fixed tenancy term without sufficient grounds. However, after any fixed term has ended you can repossess the property without grounds as long as you give 2 months’ notice. Also, immediate possession is possible if the tenant has broken any of the terms of the tenancy agreement, such as a failure to pay rent or damage to the property. It is your right as landlord to make sure that you get the property back at the right time and that the tenant doesn’t stay longer than they are legally entitled to. If you feel that there are grounds to evict your tenant, then you should seek immediate legal advice or contact a landlord association who will be able to go through the tenant eviction process with you in detail. Although there is usually no problem with the security deposit you collect at the beginning of the tenancy, it is within your rights to withhold this deposit if the tenancy agreement has been broken. If at the end of the tenancy there is damage to the property or the tenant still owes rent, you are legally allowed to keep the money that you were given as security deposit. To avoid confusion regarding this matter, make sure a detailed inventory is included with the agreement, and make it clear that if damage occurs or rent is owed then the security deposit will be withheld. As a landlord it is your right to have the property handed back to you with everything in the condition you left it, allowing for normal wear and tear of course. Whilst your tenant’s rights need to be respected, in order for a tenancy to run smoothly you need to know your rights as a landlord as well. Exercising your rights is part of being a good landlord, and the more you use your rights to benefit both yourself and the tenant then the easier the tenancy will be and the less problems you will have. @Col. check the terms of your lease to be sure - but as long you are given 24 hours, the landlord is not being unreasonable in this circumstance. I rent a flat, on anormal tenancy agreement. I am away for a couple of weeks, but as I will be leaving at the end of the month I agreed that the agent could enter the flat to evaluate the property as the owner wants to sell. They now want to enter the flat to take photos etc, to market the flat.....I have said that they can't enter the flat until after The 27th of this month.... my lease ends on the 31st of the month. I have some friends staying in the flat at the moment, and they do not wish to be disturbed, and as they don't know exactly when they will be in the flat they do not want any one entereing the property. There are no outstanding issues...all payments are up to date, there are no repair problems, they have already inspected the flat for appraisal...I have told them that they are not to enter the flat until I am there...They have said that they have the right to enter, and that they are going to...This is going to be a problem with the people I have staying there....What is your view please....the flat is in London. Regards, Colin.